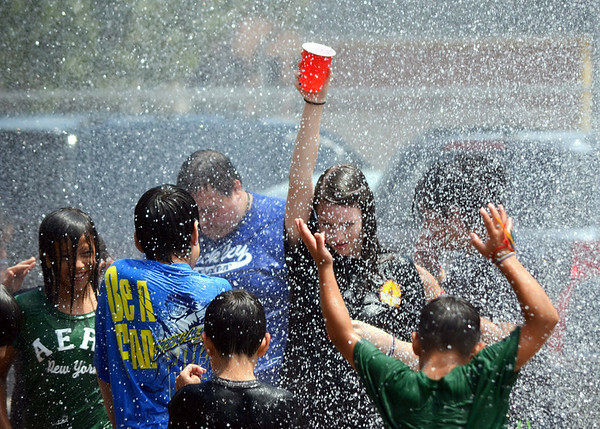 Children at St. Joseph's Catholic Church play as water from the hose of a fire truck rains down on them Friday, July 20, 2014 at the church. The firefighters came to spray the kids on the last day of thier Totus Tuus activities. Totus Tuus a Catholic youth program dedicated to sharing the Gospel and promoting the Catholic faith.